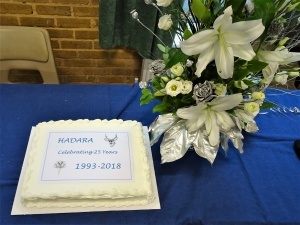 At the 25th HadARA AGM, we heard reports about our membership, events and activities throughout the year. It was then time for elections and all of the committee, including the Officers, agreed to stand for another 12 months. Lee Scotting returned as our Auditor. 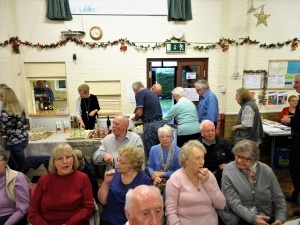 As it was our 25th anniversary AGM, there were balloons, flowers, cakes and a display of memory provoking photos, as well as our customary wine and nibbles. 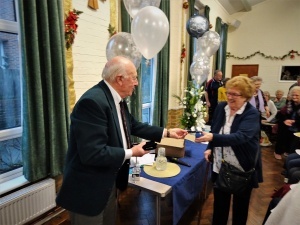 25th anniversary pens were presented to all those members attending, who were founder members of the club. That was 23 members out of the 25 remaining founder members. 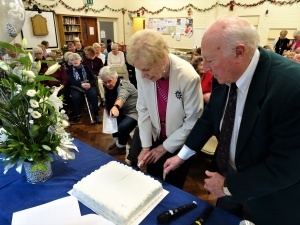 Margaret, our longest standing member, was asked to cut the cake. During the break for wine, cake and nibbles, our chairman, Ron, handed out commemorative pens to the remaining members present. Everyone had a chance to eat and drink as much as they wanted. 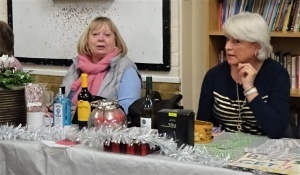 As soon as the washing up was done, it was time to draw the winning tickets for the bogof raffle. Then it was time to clear the hall and say goodbye to our friends. 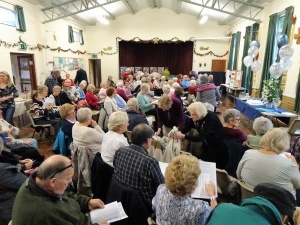 Thanks to all who attended the AGM and to everyone who worked hard to make the day a success.